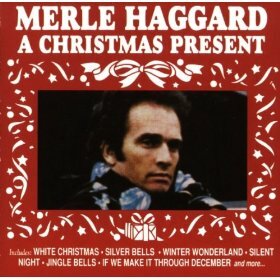 Originally issued on Capitol in 1973 as Merle Haggard's Christmas Present: Something Old, Something New, Merle Haggard's first and best Christmas album (co-produced by Ken Nelson and Fuzzy Owen, Hag's A team behind the board) has only 10 cuts, but all have a special feeling about them. The world of 1973 wasn't in nearly as bad a shape as it is now when Hag penned his devastating chronicle of a family on the edge of financial collapse, "If We Make It Through December," but if ever a sentiment was appropriate for December 2011, with unemployment seeming intractable ("got laid off down at the factory," sings Hag, "and their timing's not the greatest in the world"), and the economy at home and even more so abroad still staggering, it is this. The song was chilling enough back then, but now it seems positively and unfortunately prescient—Hag saw it all coming. Even so, it's a great song, full of the populist heart Hag knew first-hand, beautifully played and given a low-key, heart-touching vocal reading full of the hope and fear he admits to feeling as he struggles to keep his family afloat. 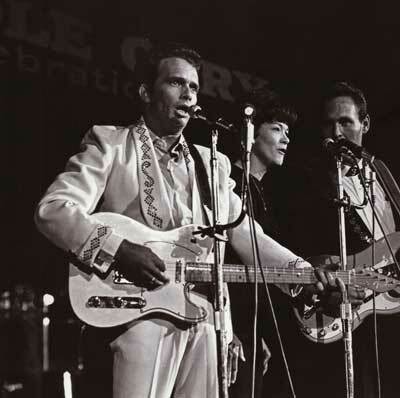 The first five songs, in fact, are Haggard originals, and include another devastating Yuletide scenario in "Daddy Won't Be Home Again For Christmas," (the poignant reflections of an imprisoned father who sends his meager prison paycheck home to his kids "to let you know I don't forget"); on a gentler, upbeat note, Hag offers a sweet reminiscence of Christmas when it was good in "Santa Claus and Popcorn"; a touching reflection on the ties that bind in the somber recitation, "Grandma's Christmas Card"; and another portrait of childhood loneliness in "Bobby Wants a Puppy Dog for Christmas," the story of an only child who longs not for toys but rather for a pet, something living and feeling, "that he can raise." In all his original compositions, Hag keeps the focus on family, where it belongs, and fashions a moving aural Christmas card that is hardly all glad tidings but always has its heart properly positioned. Accompanied by the Strangers on these original tunes, Hag plays it close to the vest musically, his voice clear and resonant, dominating the subdued arrangements in which the band plays mostly in ensemble mode, keeping solos to a minimum. The album is rounded out with five cover versions of Christmas standards, all given lovely treatments with Hag accompanied by Billy Walker and His Orchestra. As the Strangers do on their tracks, so does Walker on the standards, reigning in the orchestra so that the same mellow, slightly melancholy ambiance sustains throughout the album. The tender version of "Silver Bells" is one of the most touching recorded treatments of this chestnut, and the album sign-off, a cheery version of "Jingle Bells," is a pleasant blending of subtle strings and soothing voices, with the Strangers' Don Rich interjecting some ringing guitar licks along the way. Masterful in all respects, Hag's Yuletide gift makes a stand for the things that matter.